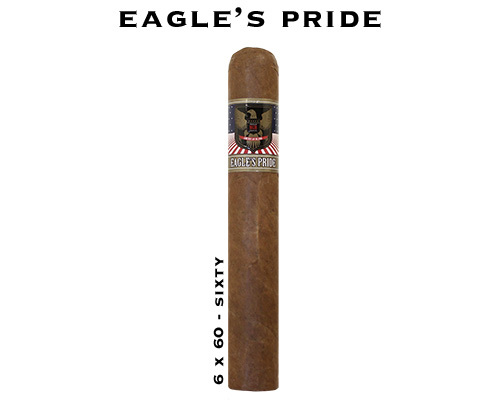 Eagles Pride Cigars - Buy Premium Cigars Online From 2 Guys Cigars . Eagles Pride comes to us from a factory in Nicaragua. This 6 x 60 cigar offers a lot of bang for the buck at less than $3 per stick by the bundle. It's a solid medium with notes of pepper and a hint of cinnamon. If you are on the hunt for a flavorful cigar, with a big ring, that is not going to put a big hit on your wallet, this is it.